September is Childhood Cancer Awareness Month UCPD has a new smaller "Gold Patch" to support the fight for children. 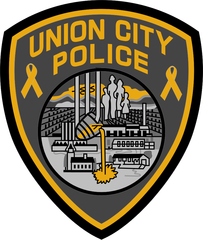 In our ongoing efforts to raise awareness for the fight against cancer through our #UCPDPinkPatchProgram, this year we are introducing a smaller Children's Patch (Gold) that will represent our support of the fight against cancer in children. While the month of October is reserved for breast cancer awareness, September is a special month for raising money specifically for children suffering from cancer. You can support our Pink Patch Project by purchasing UCPD Children's patches for $10 each. All proceeds from the Children’s patches will go to St. Jude Children’s Hospital. We are accepting donations throughout the year for both the Pink and Gold patches ($10 each for both colors) however, there is a special focus on the children during the month of September. #UCPDgoesPink and now we #gogold!